Sugar Knocker goes along with your prescription drugs without any interaction. 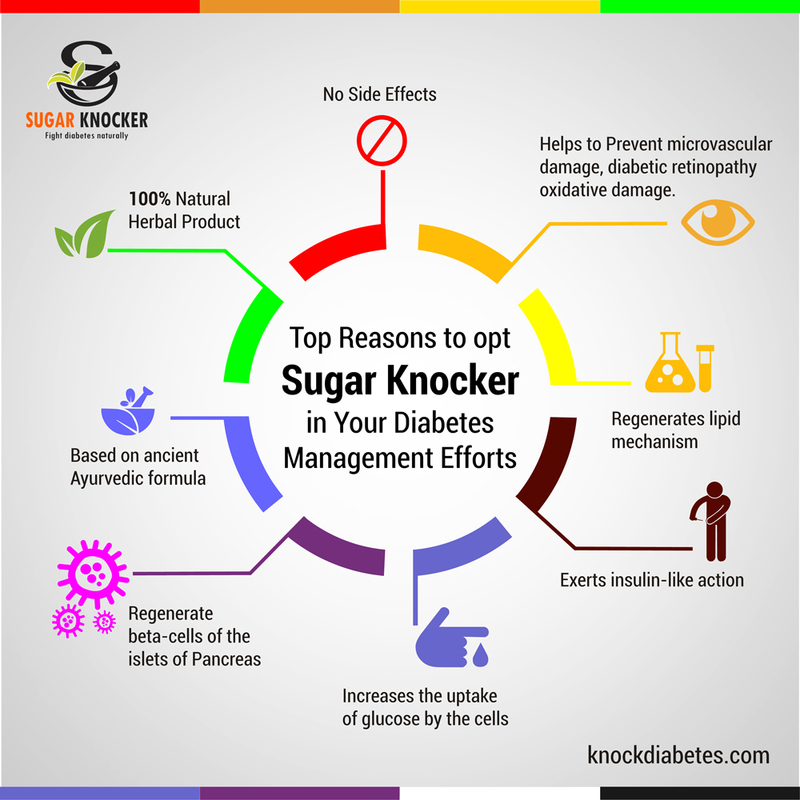 So you can try Sugar Knocker – Ayurvedic Treatment for Diabetes without changing your regular medicine that you are taking. Herbs that are used in Sugar Knocker are generally regarded as safe for human consumption and as such, they do not have any ill effect on you. Herbal supplements for diabetes should be a part of a holistic approach to treatment that addresses proper nutrition, a good exercise program, and continued monitoring of blood glucose levels. After a diagnosis of diabetes, it is important to continue to follow up care and education to ensure the best treatment possible. When Natural Herbs are Good for Life; Why aren’t we use them to REGULATE SUGAR LEVELS? Helps to regenerate beta-cells of the islets of Pancreas. Helps to increase the uptake of glucose by the cells. Helps to regenerate lipid mechanism. Helps in preventing microvascular damage. Helps in preventing diabetic retinopathy. Helps in preventing oxidative damage. Based on ancient Ayurvedic formula. In the year 1990 company started with a trading activity of medicinal plants and cultivation of medicinal herbs in the region of North Karnataka, in the name of KRISHMA FARMS during these years company has supplies to various ayurvedic and herbal drug manufacturers with quality raw materials and herbs. Our major buyers are companies like Dabur Zandu Baidhanath, Himalaya, and many other manufactures of ayurvedic products.The company has also exported raw herbs to USA and CANADA. The co. has experience of 20 years in the field of collection and cultivation of medicinal herbs we have in-house capabilities in identifying about 200 medicinal plants /herbs. The company has necessary technical staff to produce quality Ayurvedic herbal dietary supplements. We have a senior scientist with the experience of 30 years in the field of herbal products assisted by to BAMS Doctors as a manufacturing chemist and necessary technical staff to carry out the smooth production process. We have installed capacity to manufacture 1 Crore capsules per month and 10 thousand liters of liquids and juices.